Perched on the hill looking down over Granada is the ancient barrio of El Albayzín and beyond that Sacromonte. No trip to Granada is complete without a visit to these fascinating neighbourhoods. Allow yourself plenty of time to have a wander and be prepared to get a little bit lost. It is here, as you discover the steep and winding streets of the Albayzín, and soak up the atmosphere of the city’s old Muslim quarter, that you can truly sense Granada’s Medieval Moorish heritage. The cobbled streets form a labyrinth of white washed houses, walled gardens and little squares lined with bars and restaurants. The Mirador San Nicolas, where there is often some impromptu performance going on, offers a great spot from where you can enjoy the stunning vista of the Alhambra and there are a number of bars and restaurants that offer al fresco dining with same backdrop. From here you can follow your nose down to Calle Elvira, perhaps stopping off in a Moroccan tea shop for a shisha**, down the to Carrera del Darro for some tapas. Some Granada guides will tell you to be extra vigilant against thieves in the Albayzín. I would add that, while should of course you should take the normal common sense precautions with your valuables, you should not feel nervous about exploring this area of Granada. On the whole the city is relatively safe. Beyond El Albayzín you can wander along the cobbled path that hugs the hillside through the barrio of Sacromonte, birthplace of the traditional Zambra***. Granada’s Gitano**** district is famous for its caves and flamenco bars. Gypsies settled here when the Catholic Kings Los Reyes Católicos took Granada in the 15th century. Apart from the flamenco bars you can visit the Abbey in Sacromonte, that houses Christian relics including San Cecilio the first bishop of the Granada. To gain an insight into the history, culture and daily lives of the past inhabitants of the Sacromonte caves visit the Museo de las Cuevas del Sacromonte. This fascinating exhibition, made up of ten caves reconstructed as typical homes and workshops, illustrates the way of life of the cave dwellers and showcases traditional crafts such as wickerwork, metalwork, weaving, and ceramics. The museum also holds regular cultural events. Click here to buy tickets in advance for the Sacromonte Caves Museum. For information on this and other museums in Granada click here. 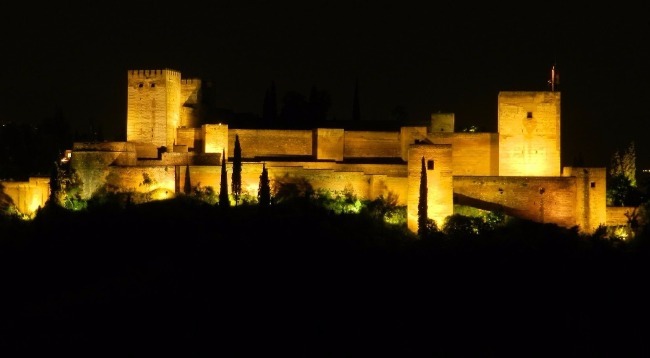 Click here for more information on guided evening tours of the Albayzín and Sacromonte. Casa Juanillo, situated on Camino del Sacromonte, offers excellent views of the Alhambra and a cosy, intimate atmosphere. It’s a family run business and the food on offer, while not fancy, is traditional Andalucían cuisine. This is a great place to go in the evening to watch the effect on the Alhambra of the sun going down and seeing it light up as night falls. 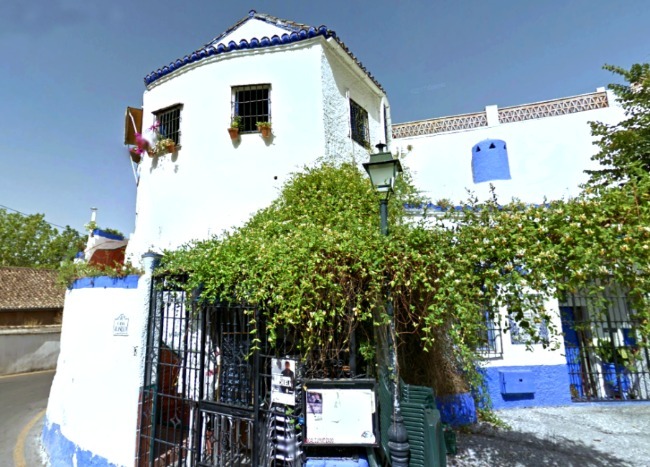 If you are looking for something a little more up market and still want great views of the Alhambra head to Restaurante Estrellas de San Nicolas, located in the Albayzín adjacent to the mirador of the same name. The food and wine here are excellent and the warm camembert and goats cheese starter in particular is to die for. If you want to be assured of a decent view of the Alhambra from the roof terrace it would be advisable to arrive early or book ahead. 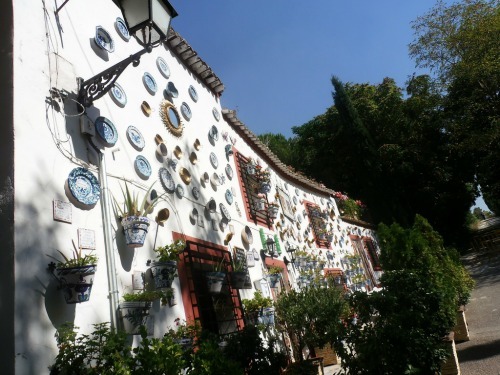 Also located in the Albayzín, Jardines de Zoraya is one of Granada’s best known venues for food and flamenco. As well as tapas and traditional Andalucían cuisine there are also pizzas on offer making this a great place to take the kids. And with an early evening flamenco show it offers a good opportunity to introduce children to a little slice of Spanish culture. While this restaurant offers no views of the Alhambra there is a lovely courtyard outside where you can relax with the family and enjoy a good meal. Click here to book in advance for dinner and a flamenco show at Jardines de Zoraya. which includes elements of belly dancing and has its roots in earlier Moorish dances.